The coast of Queens is a great place to bird, especially in the fall on a day with north winds after a night with north winds. Small birds that found themselves over water when dawn broke have had to fight their way back to land against the wind and are too busy searching for food to fuel up with to pay a photographer any mind. Raptors are moving as well, with the wind bringing them to the coast they are easy to spot as the migrate down the dune-fields. 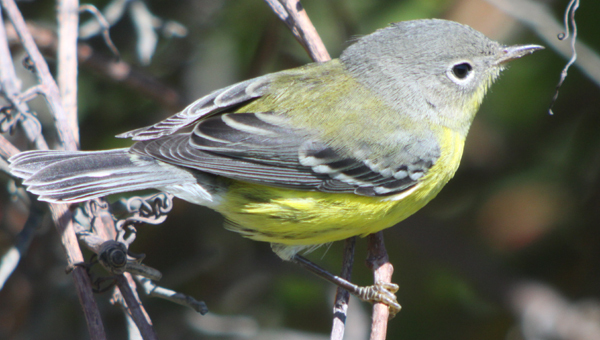 But this post is about one species in particular: the Magnolia Warbler Dendroica magnolia. I recently found several of these little charmers feeding along a fence line in the company of Palm Warblers and a Blackpoll Warbler. Because of the faint streaking I am pretty sure that they are all first fall females, but one image might show a first fall male. 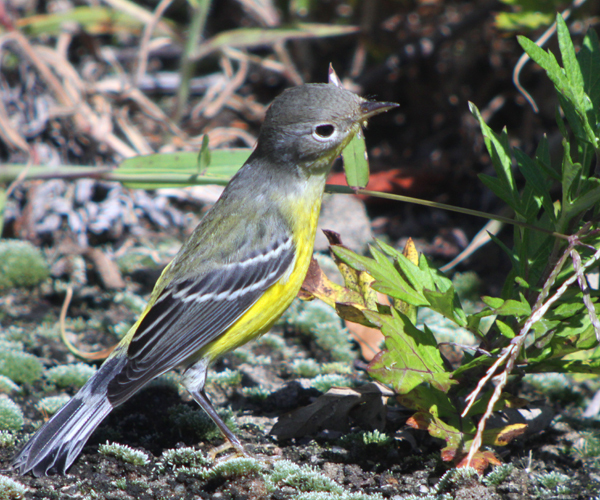 Whatever the gender I think we can agree that the wide-eyed look of the Magnolia Warbler is marvelous! 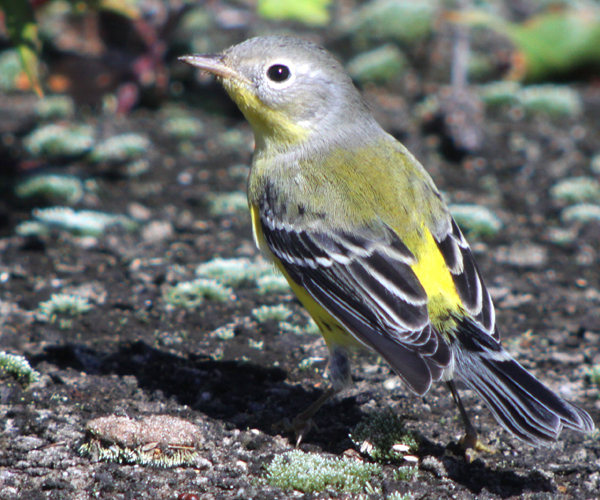 Magnolia Warblers migrate from their breeding grounds in the boreal forests of Canada and the northeastern United States (with populations stretching down the Appalachians as far south as Tennessee) to their wintering grounds in southern Mexico and Central America. 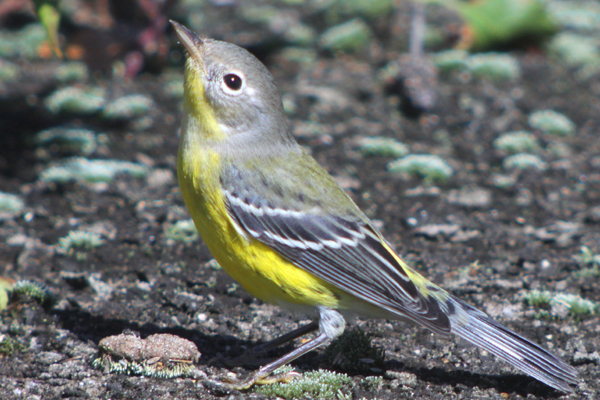 While it is an “eastern” warbler it has shown up as a vagrant in every single western state and it has appeared as far south as Venezuela, as far east as Britain, and as far northwest as northern Alaska. There are lots of Magnolia Warblers out there to see and I have always found them to be especially confiding on their southbound migration. 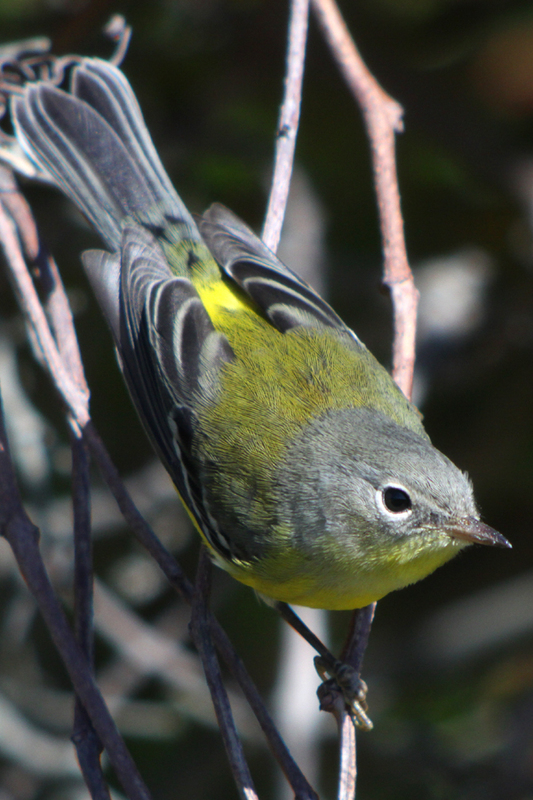 So get on outside and track down your very own Magnolia Warbler today! Charlie, don’t tell me you never knew…. It’ll get better once you get funds to personally follow the Sociable Lapwings’ entire migration, from Kazakhstan all the way to NE Africa and back, also scouting potential areas to the east and west, and while you are there (in NE Africa) to also quickly check how all the Ethiopian endemics are doing. If I had the financial background of Bill Gates, honestly, you’d be on a plane right now! @Corey: no, sadly I am still a couple’ handful of millions behind Bill Gates. Catching up though. Kind of. Great pictures, Corey! Thanks for teaching me about warblers two days ago. It was a lovely lunch break. Sign me up to work for Jochen’s Foundation to Save Birds. I did. Well, technically I didn’t see a Maggie today, but oddly enough, I also posted about one today. Though my pictures aren’t as pretty as yours. 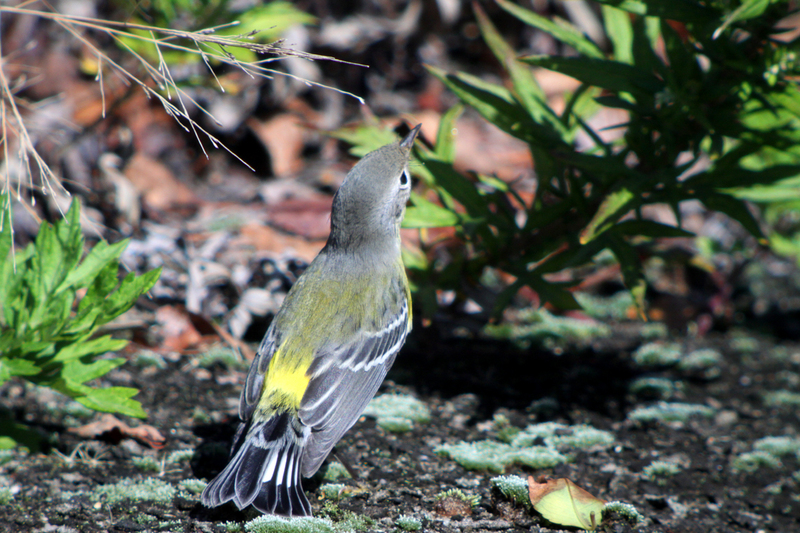 For what it’s worth, Maggies are one of my favorite warblers. They’re common, easy to watch, and are indeed beautiful (even in the fall).